You will receive 9 Firetrap Mens T-Shirts. 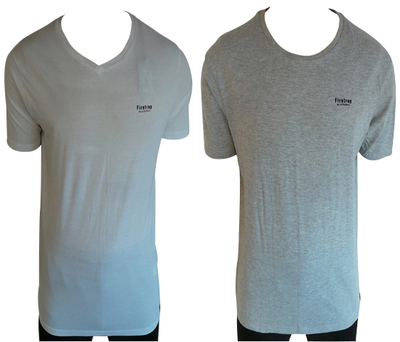 Mens t-shirts from Firetrap. V-neck and crew neck styles are included. Each features a small Firetrap Blackseal print at the chest. Also features patch branding towards the hem. Short sleeve.